This entry was posted in Art, community, Education, Grief, Happiness, Human Nature, Love, Peace, Poetry, Thinking Aloud and tagged all things in due season, art, community, companions, digital illustration, friends, happiness, hope, human nature, joy, Learning, leaves, love, loved ones, Peace, poem, Poetry, seasons, teachers by kathryningrid. Bookmark the permalink. Hi, Maggie, and thanks! I was just over at *your* place, getting my subscription in there. 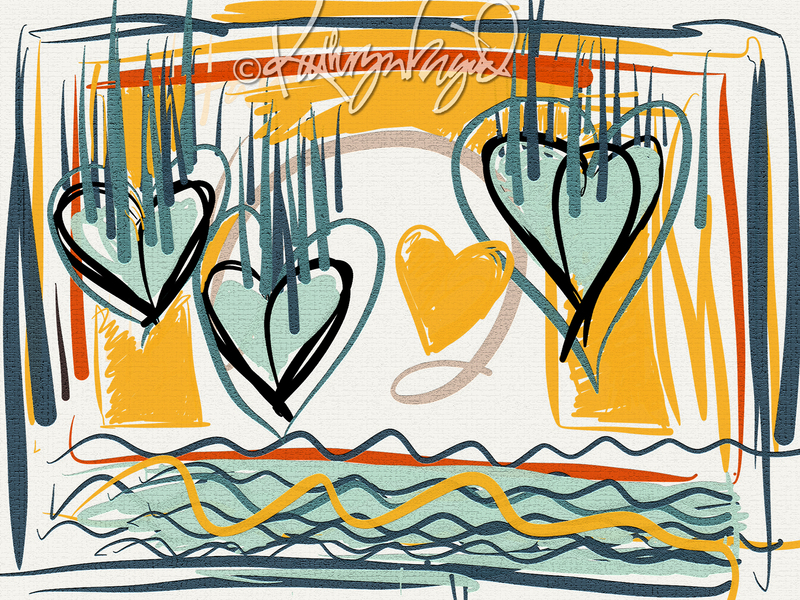 😉 I’m playing with digital illustration these days; my spouse bought me a shiny new iPad Air in January and I’m fiddling around happily with several free drawing programs and a stylus; previously, all of my digital work was done with my finger on a track pad on a much slower old laptop, so this feels mighty slick and, dare I say it, technologically advanced! Both pieces were done with a combination of those programs and Photoshop (a gift from my sisters, two of whom work for Adobe). Well, it looks to me that you’ve mastered it! I look forward to more! oops – where are my manners? Thanks for the follow! Lovely! You are truly a light my friend! Likewise, Tig! I know that I am truly blessed to live in such a deep well of friends and loved ones that I can never fall to the bottom of it. Why, yes, you are! 😀 I find you are quite the illustration of my point of the day here, dear Laura. Awwwe….that made me smile! Thank you so much. I feel like skipping….if I could lol. Thank you so much, my lovely! Every day brings new adventures. Thank you, B, you are a sweetheart. Trust me, I’m a technophobe and weakling when it comes to such stuff, too, so I stuck my toe into digital art-working ever so slowly and am becoming increasingly aware of how very, very little I know and am able to do. Ah, the way of all things, I guess. 😉 I’m glad, as always, that you’re here and enjoyed your visit! Love the art and the poem! Good poem! It’s so true that our friends are where the light and delight are. 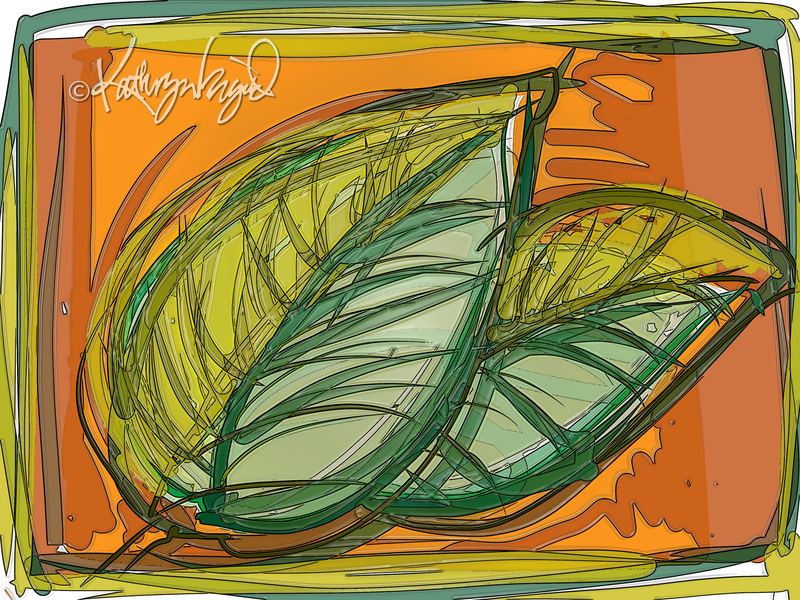 I especially like the first illustration of the leaves, Kathryn. Thank you. A subject to which I consistently return, in part because every time I draw or paint a leaf I come up with something that I didn’t quite expect. So many possibilities.